The BBC have announced that one-off drama Our Girl will return for a five-part series in 2014. Written by Tony Grounds and made by BBC Drama Production, the single drama made a big impact with audiences earlier this year with a successful debut on BBC One (consolidated audience of 6.3 million). The story is of the unstoppable Molly Dawes (Lacey Turner), born and raised in East London with few prospects, who went from nobody to a soldier in the Royal Army Medical Corps. 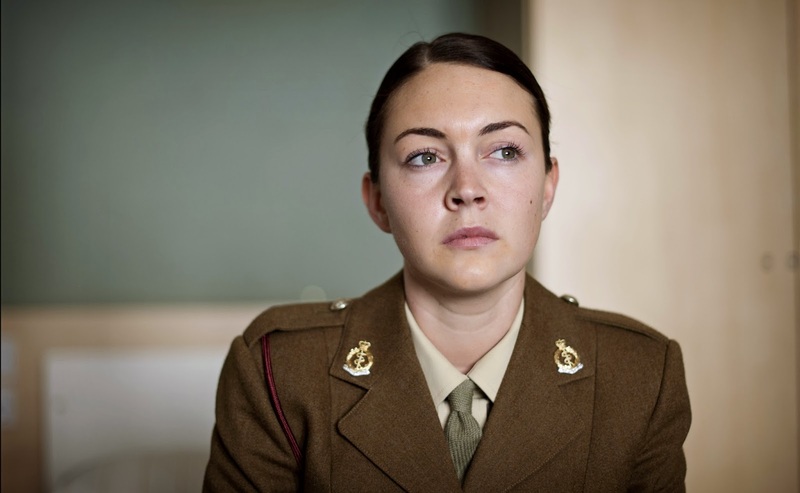 The series follows Molly on her first deployment as a serving army medic against the backdrop of the British Army's withdrawal from Afghanistan. Molly will be forced to grow up very quickly by the unforgettable experiences she faces and crucially, she will make friends among her platoon, who will become almost as important to her as family, as they face extraordinary challenges in a foreign land far away from home. Afghanistan will change Molly's view of life in ways she could never have foreseen - and shape the character of our girl forever. The news comes alongside the announcement of new three-part documentary series Inside KFC and new six-part comedy series Grey Mates which follows the ups and downs of three recently retired couples. An all-star cast of much-loved British actors including Russ Abbot, Stephanie Beacham, Philip Jackson, James Smith, Alison Steadman, June Whitfield and Paula Wilcox make up the trio who are all coming at retirement from very different directions.